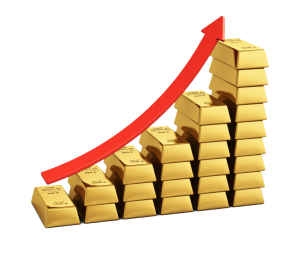 The just released WGC report shows that 2016 demand for gold increased by 2%, reaching a 3-year high of 4,308.7t. This is in spite of the fact that jewelry demand fell to a seven year low, China’s economy continued to soften, and India’s changing policy and shock demonetization program reduced gold demand by 17% year-over-year. Investor demand for gold-backed ETF’s and similar products reached 531.9t, achieving the second highest demand on record, despite Q4 profit-taking. Additionally, coin and bar demand was near stable at 1,029.2t. Generally speaking, investment demand was up 70%, achieving its highest level since 2012. Investment during the first part of 2016 was governed by concerns over global negative interest rates, the continuing threat of America’s increasing interest rates, and the upcoming election. After America’s November election results, investors felt that an amount of uncertainty had been removed, allowing Trump’s growth-boosting rhetoric to increase interest rate expectations and push the dollar higher, triggering a sharp correction in the price of gold and an increased level of profit-taking. Meanwhile, gold demand in China increased during Q4 by 86% year-over-year. The main reasons were: lower gold prices, falling Yuan values, buying in advance of the Chinese Lunar New Year, and emerging fears of a Chinese real estate bubble, due to new restrictions on property purchases. Gold ended the year, up 8%. However it had achieved a 25% gain by the end of September, before the election and FOMC interest rate increase. The gold American Eagle had its best sales month in October, since July of 2015 and prior to the election, the U.S. Mint announced that unless they were to run out of coins, chances were good that 2016 sales results would be greater than the 743,500 coins sold in 2013. Another contributing factor to gold’s watered-down results for 2016 include a 33% drop year-over-year in gold net purchases by central banks, due in part to an increase of pressure on FX reserves. Nevertheless, 2016 represents the 7th consecutive year of net buying by central banks. Gold price gains and demand growth in 2016 were fuelled by a four-year high in investment capital. Moving forward it now seems apparent that the confusion and concern with Trump Administration policies that had been anticipated are beginning to be realized. This will add to the interest and value of gold as an effective investment hedge. Meanwhile, European Union members are becoming disenfranchised and many countries are leaning toward more extreme political views. Historically low or negative global interest rates remain a great concern and add to the global uncertainty that will continue to fuel demand for the safe haven gold represents. American Bullion is well-equipped to assist with a precious metals fortification of your financial or retirement portfolio, or both. Call 1-800-GOLD-IRA(465-3472) now!